Mention ‘Peru’ and you can be sure that the first word that springs to mind is Machu Picchu. But Peru is a large and varied country with so much more culture to offer than only its famous ‘lost’ city. 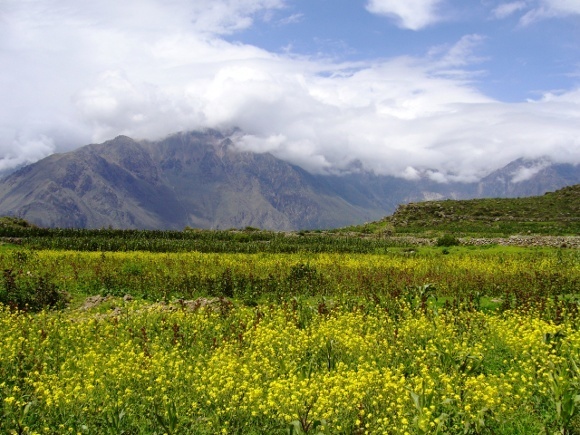 How about Arequipa and Colca Canyon? From the Amazon jungle to Lake Titicaca – the world’s highest navigable lake in the world set high in the Andes, Peru has it all – mouthwatering food, fascinating history and some of the most diverse flora and fauna in the world. Its cities too, are rich in culture and heritage. Though most visitors will be sure to visit Lima and Cusco, it’s Arequipa that really merits a visit. Otherwise known as “the White City” for its use of ashlar – a volcanic white stone used as a building solution to protect against any seismic activity from El Misti (the volcano overlooking the city), Arequipa is a beautiful city that bound to enchant you. 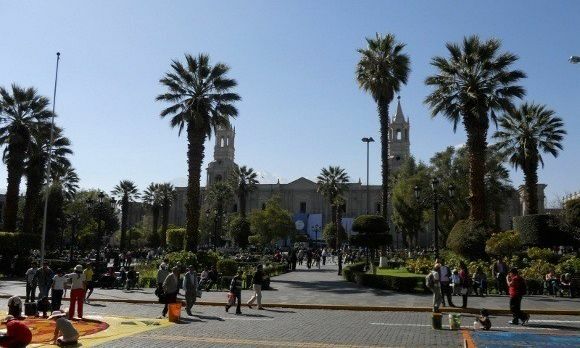 Not only has its historic center been granted World Cultural Heritage status by UNESCO but unlike other parts of Peru, Arequipa enjoys a temperate climate with a good 300 days of sunshine a year, which makes it the perfect addition to any itinerary! 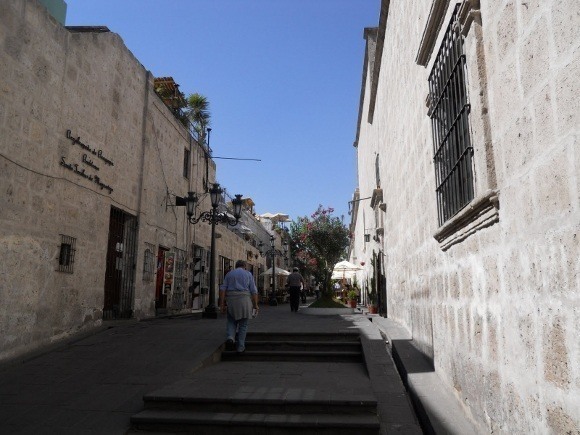 So what can you see and do in Arequipa? Well, the absolute highlight has to be the Santa Catalina Monastery. Built in 1579 this masterpiece of colonial architecture is absolutely vast. Taking over more than 20,000 square-meters, you can easily spend hours wandering around this maze of narrow, cobblestone streets, complex rooms and picturesque plazas with ornate fountains. Be sure to have a guide to make the most of your visit here though! Another curious sight for the history buff is the Museo Santuarios Andinos in which you will find the freeze-dried mummy of Juanita, an Incan girl who was killed as an offering to the Inca gods in the mid-15th century. Although the museum is small, the history of the mummies here are fascinating and will give you a real insight into Incan life and the history of Peru. But if you are more interested in wildlife and landscapes than culture and history – fear not! 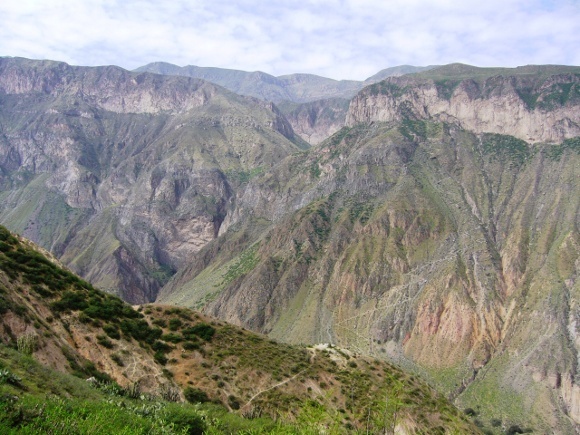 A four hour drive to the Colca Canyon will be sure to satisfy and leave you mesmerized. An overnight stay is recommended here as you will want to be up at the crack of dawn in order to witness the most majestic sight of all – the rare Andean Condor soaring through the cliffs twice as deep as the Grand Canyon. Located deep in the Colca Valley, you will be able to see firsthand that the local people really maintain their ancestral traditions here and that time appears to stand still. A visit to Arequipa and the Colca Canyon really will transport you into another world, so make sure you don’t miss it off of your itinerary when you travel to Peru! You can add a trip to Arequipa and Colca Canyon onto any of our sample Peru trips or simply be inspired by this sample trip!